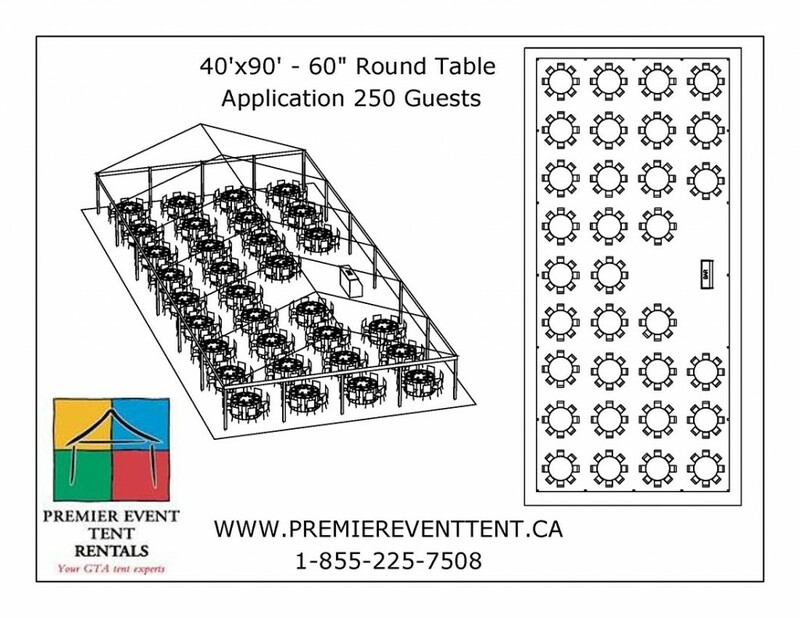 Would you like to receive more information on your tent layout? 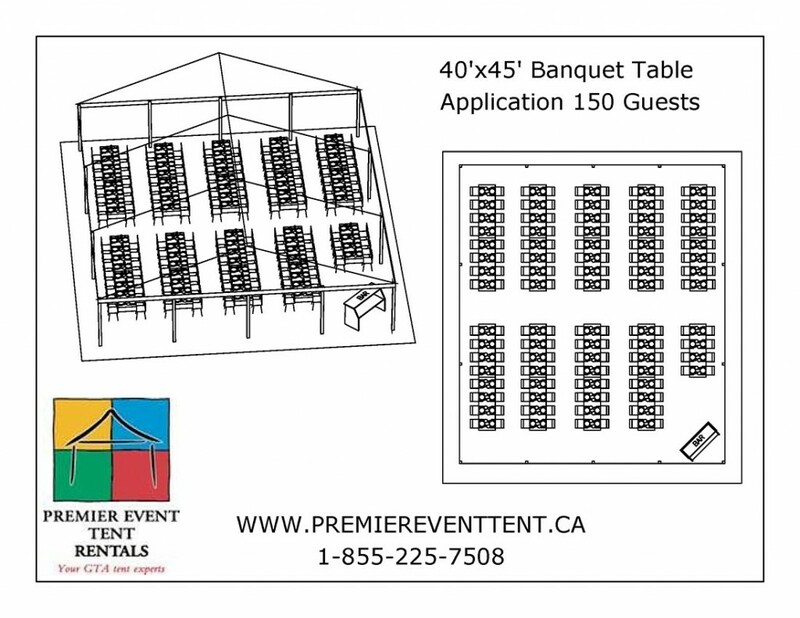 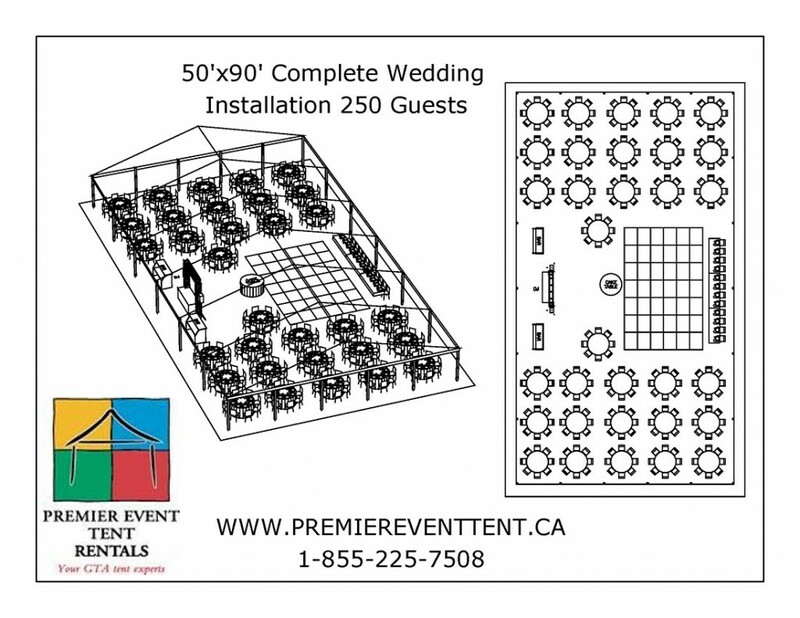 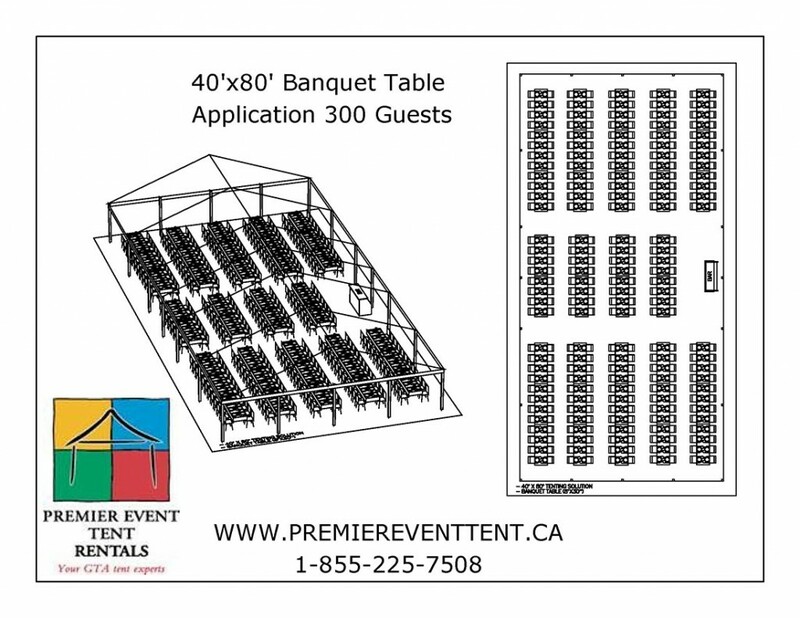 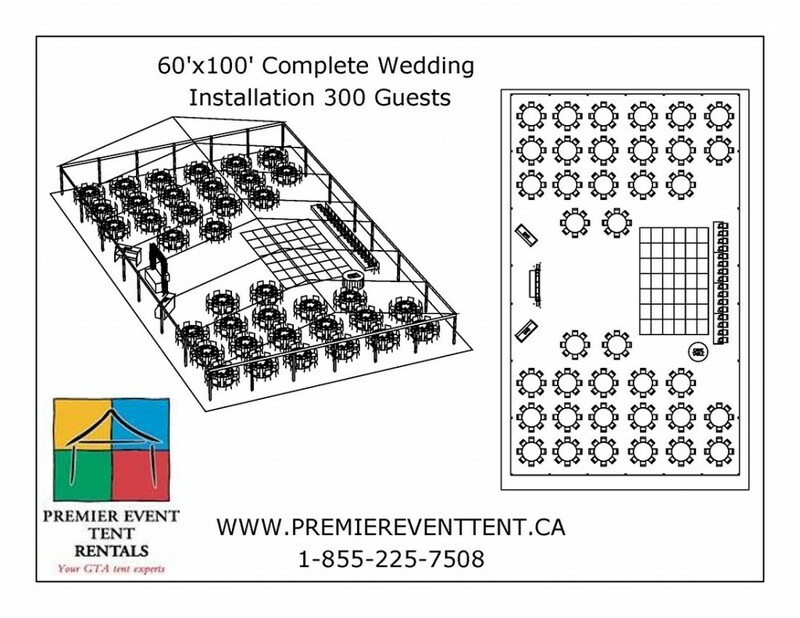 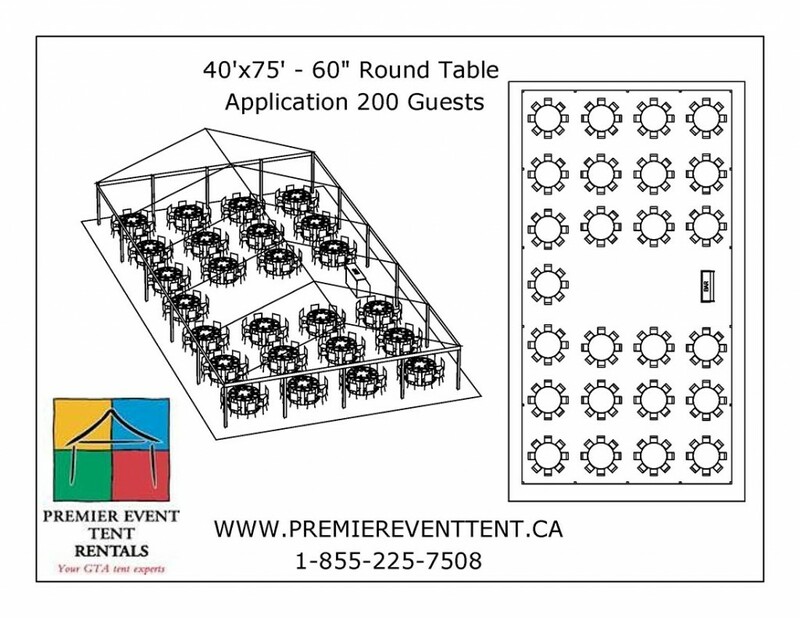 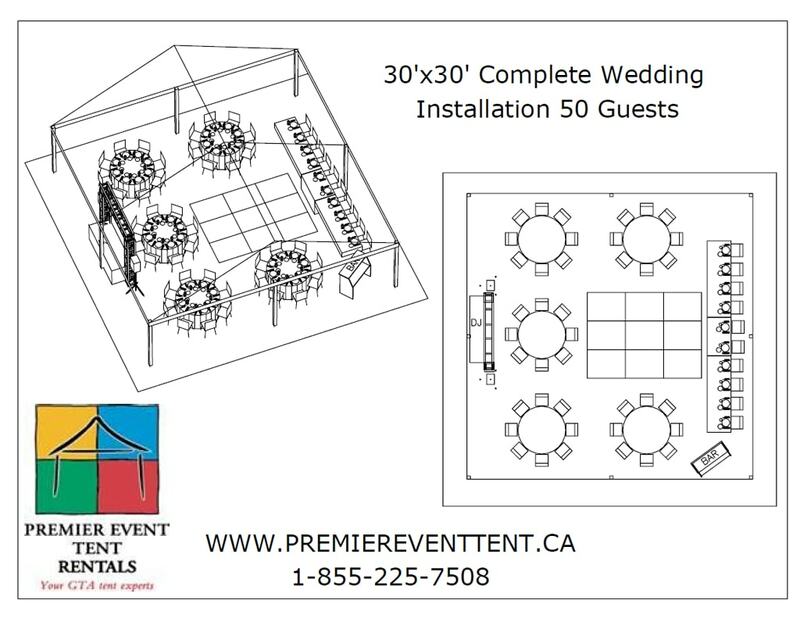 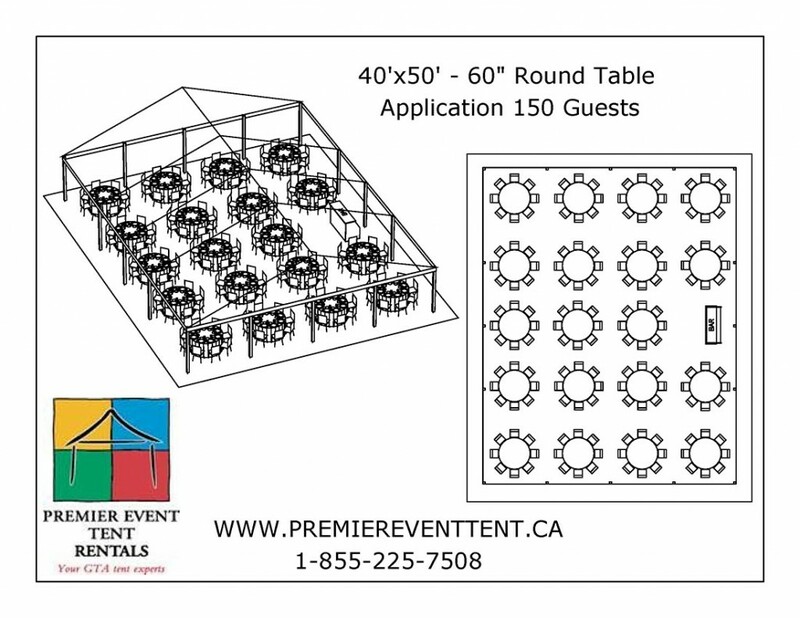 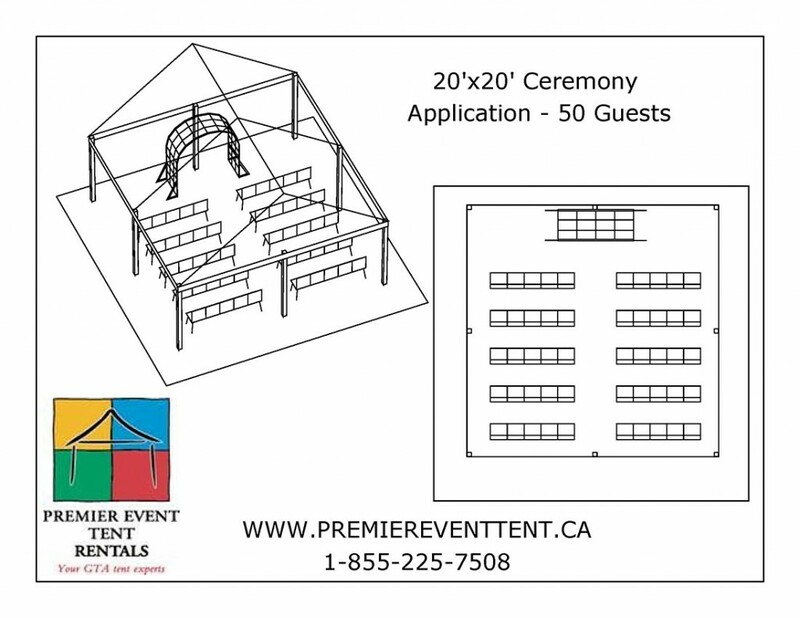 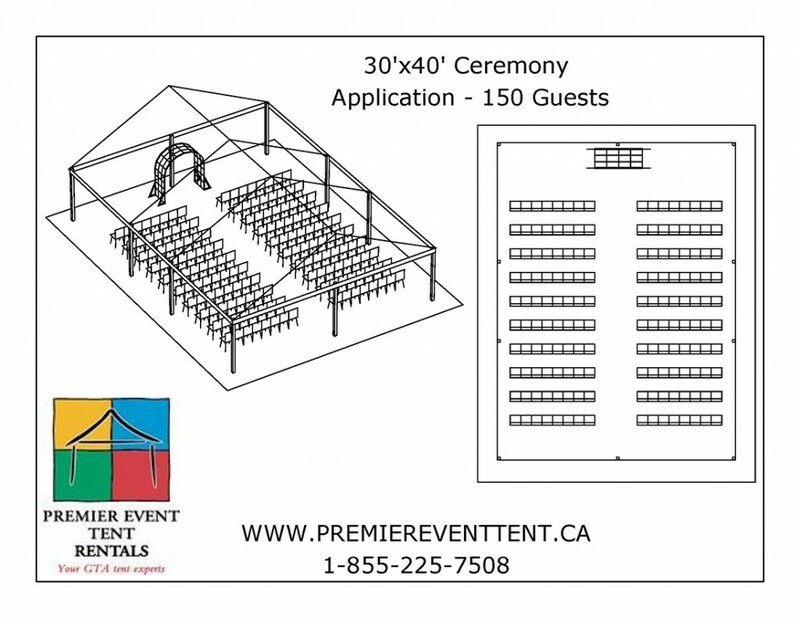 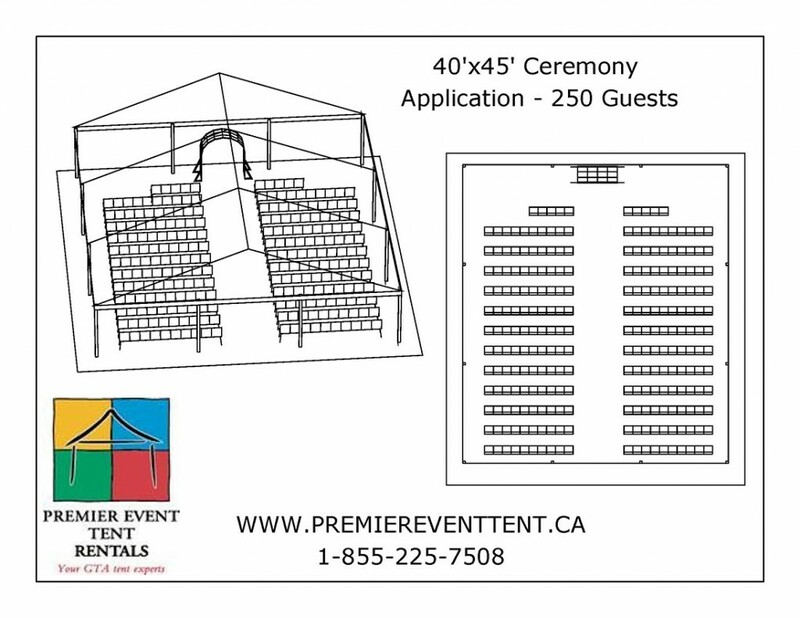 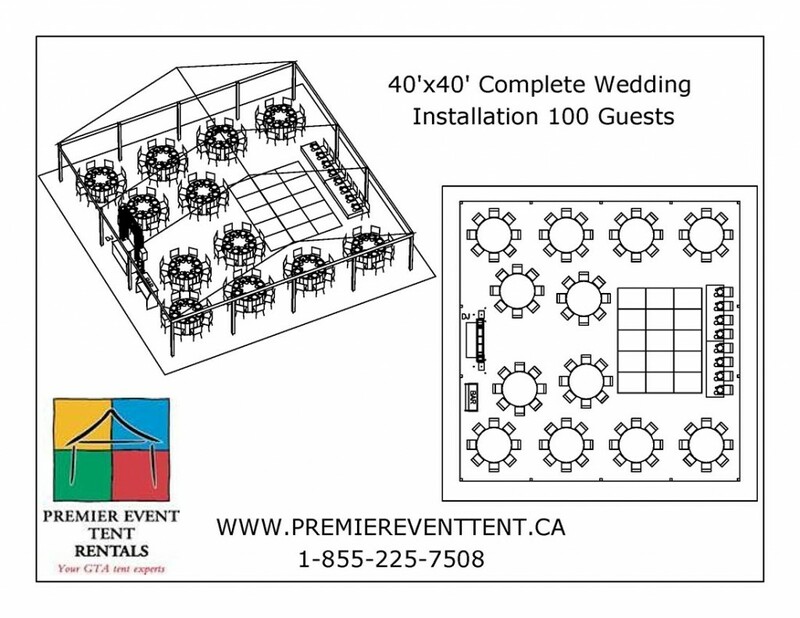 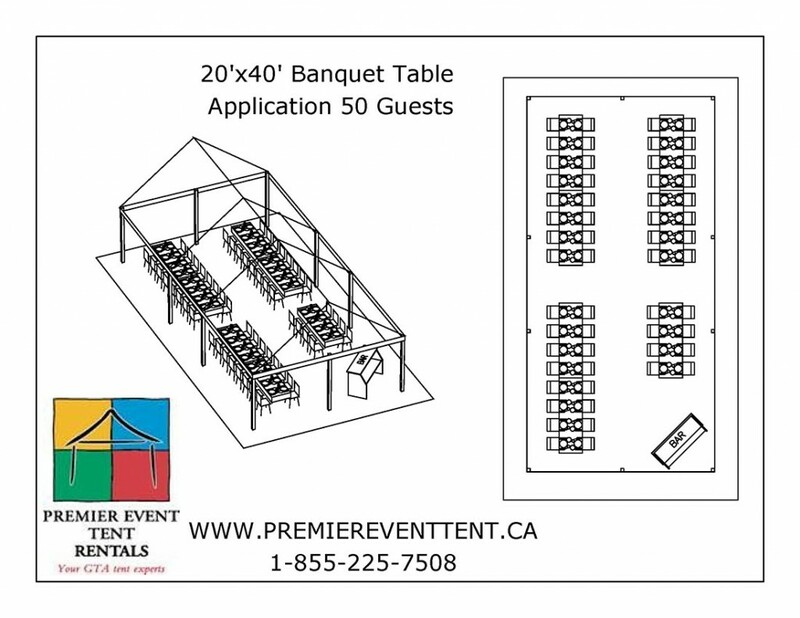 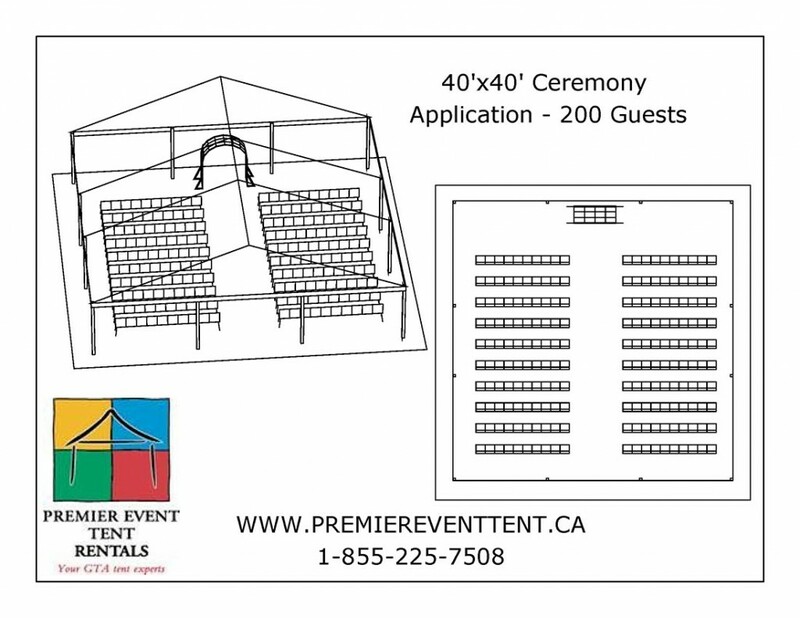 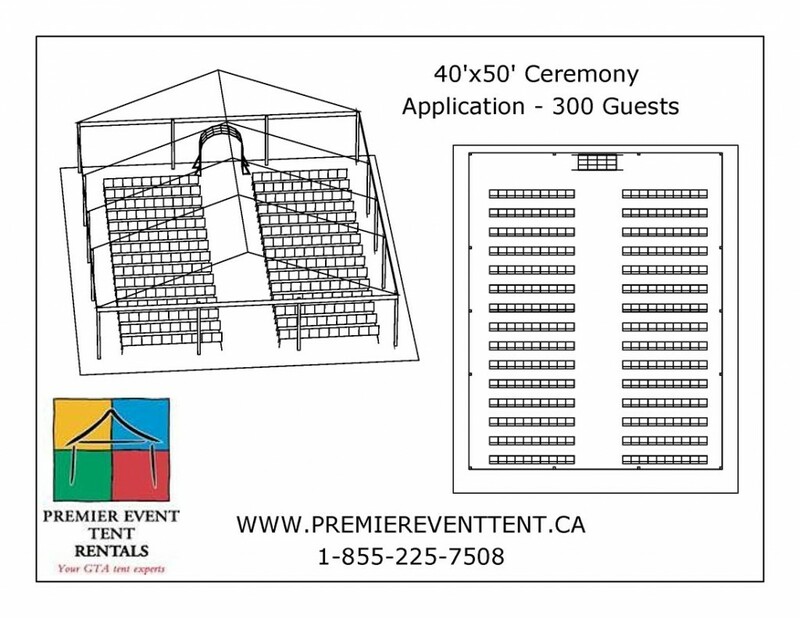 Yes, I would like to receive more info from Premier Event Tent Rentals Inc. 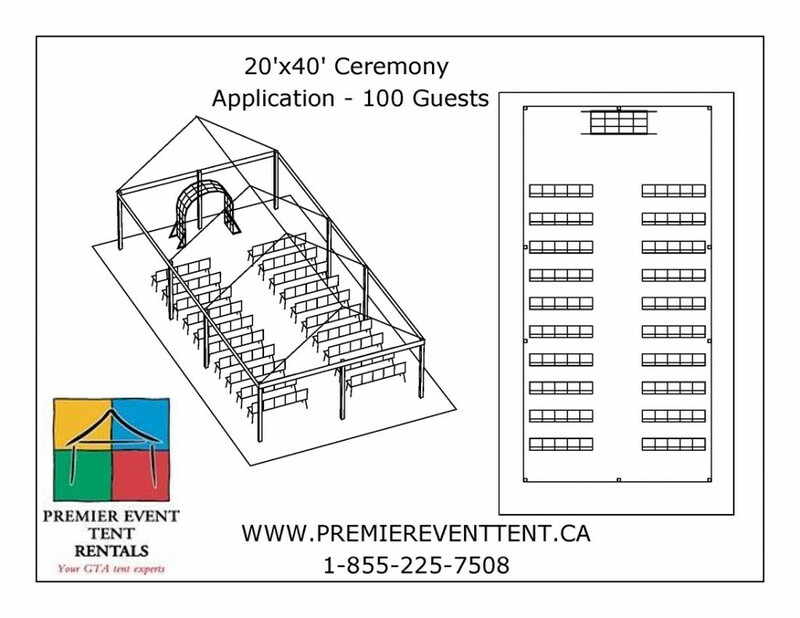 Seating down two sides of the tent with a centre aisle leading to an open space on one end for the wedding party, table, arch, etc. 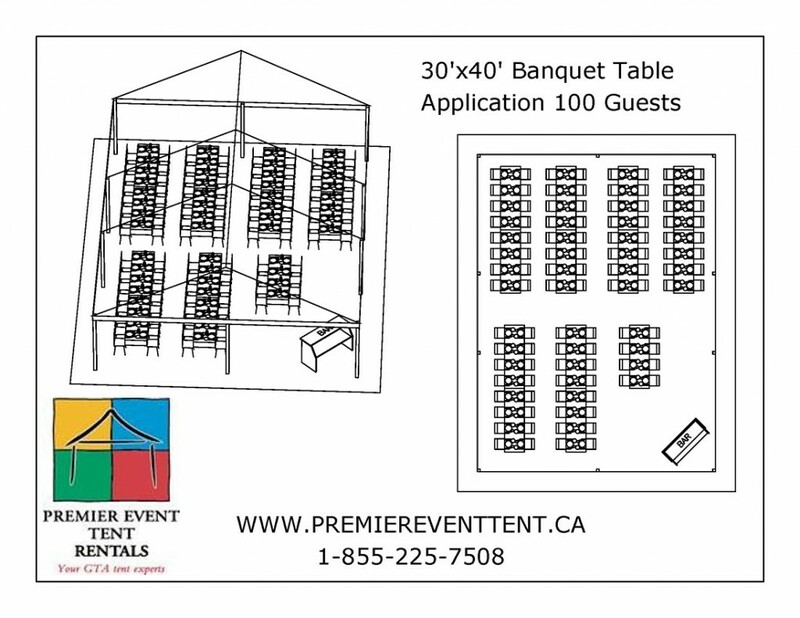 A meal set up with the majority of space used for seating and one ‘feature’; could be a bar, food table, podium, stage, etc. 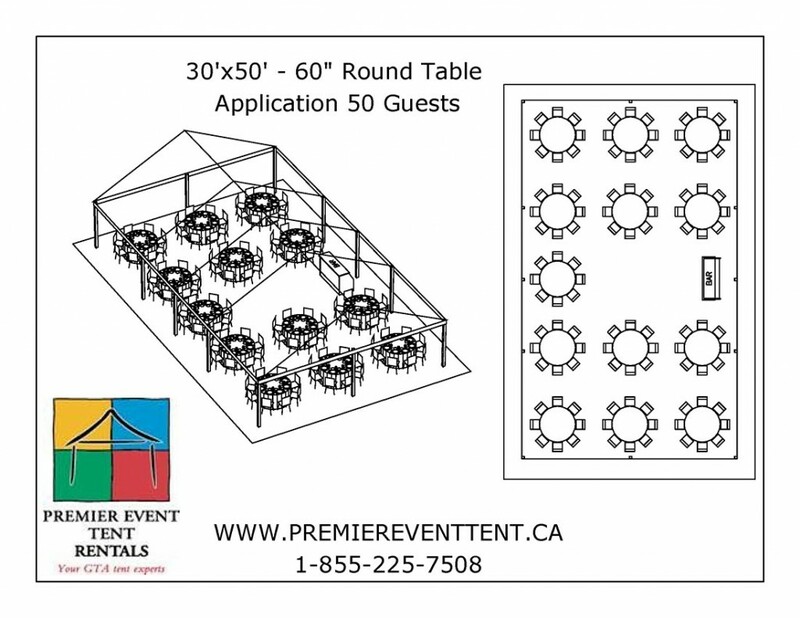 A reception set-up with seating for eight (8) at each table. 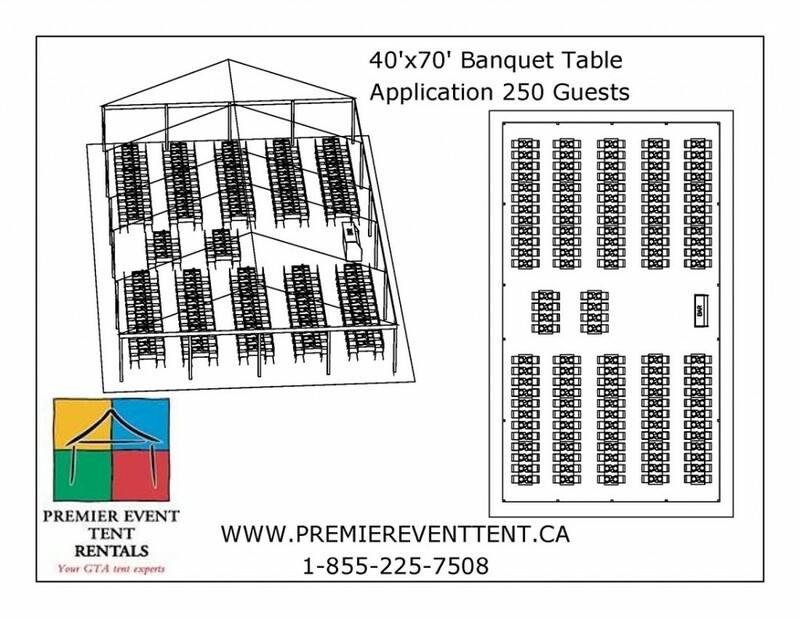 The one ‘feature’ could be a dance floor, head table, bar, food table, cake table, arch, DJ, band, etc. 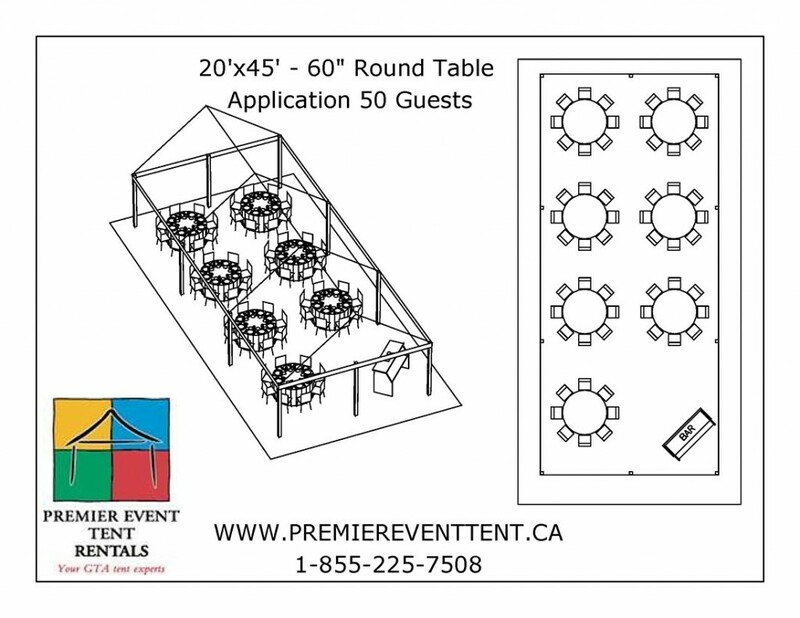 A full wedding reception set up with seating for eight (8) at each table. The multiple ‘features’ component means you have space for dance floor, bar, DJ, food table, arch, head table on riser, etc. or any combination of those.